ICP drops Infomercial Teaser Pic…Infomercial Coming Soon! 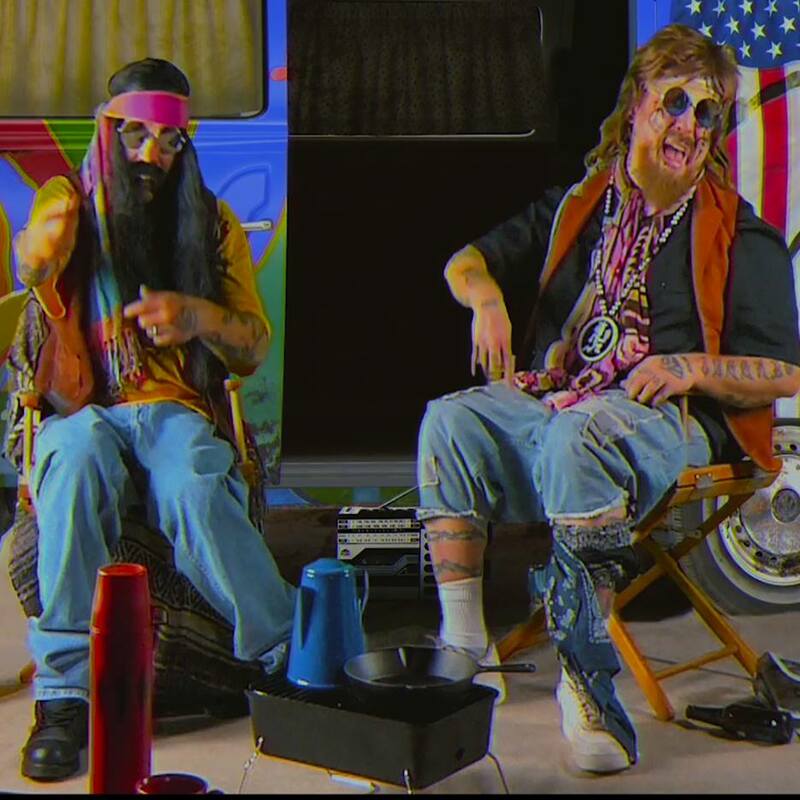 I know that a grip of you ninjas have been wondering if the Gathering of the Juggalos Infomercial for this year would ever see the light of day. Well, we’ve FINALLY got an answer for you! IT WILL! And Soon! I guess it would HAVE to be soon since the Gathering is a mere two weeks away. Either way, a teaser pic and some info dropped today on ICP’s Facebook! If you look at the pic closely, you may be able to tell that those two hippies are neither Cheech OR Chong. Ha! Check all of that out below. Get ready for a Groovy Gathering of the Juggalos Whoopstock Edition infomercial with your hosts ICP, comin atcha soon! Right onnnn, maaaan! It’s dropping right after we finish sparkin this doobie–roll it up and light it…It’s all groovy! Whoopstock is upon us! Four rockin days of nothin but Peace, Love, and Juggalos…Whoop Whoopstock!